Don’t look now, but SuperCell has dropped another weekend-long event on us, this time in the form of a Double Elixir Challenge. 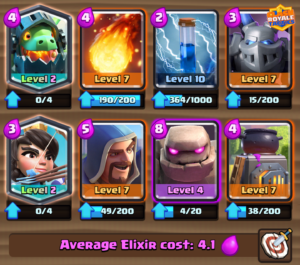 The basics are very simple here – elixir generates twice as fast as it normally does – but changing the tempo of the game makes quite the difference here, and you’ll want to mix up your strategies a bit to get the best of your opponents. 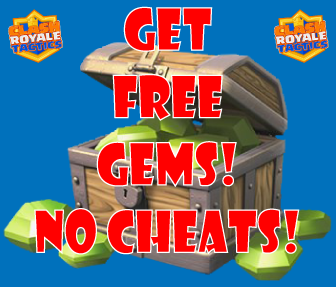 It goes without saying that Tournament Rules are in effect here, and each entry into the Double Elixir Challenge costs 5 gems as opposed to 10, so this is once again a fantastic use of your gems and you should be able to squeeze a lot of gold out of those gems that you’ve hopefully been hanging onto for just such an occasion. 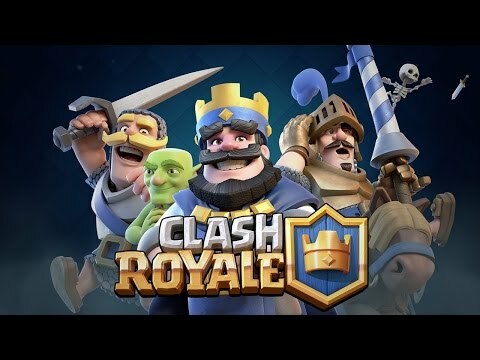 Here’s my quick list of tips if you’re trying to optimize your deck and strategy for the Double Elixir Challenge. Your opponent is going to overwhelm you like crazy, so Spells are going to be a great counter when you need to push back against a swarm of enemies. I highly recommend Fireball, as there will be plenty of times where enemies are clustered together and one Fireball can do serious damage to your opponent’s push. 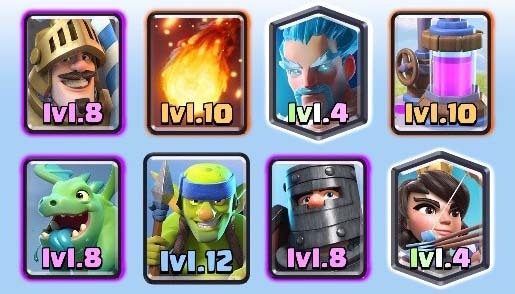 I’m seeing a slight uptick in Three Musketeers decks, and one Fireball shot will take them out no problem. That’s a winning strategy since you pay 4 elixir to cancel out your opponent’s 9-elixir troop. Lightning isn’t bad either, but it can get pricey. 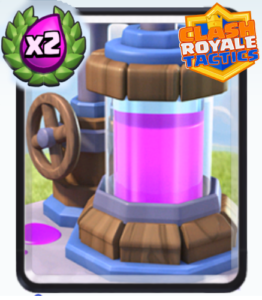 The Elixir Collector is used by a lot of the most advanced players in the game as a way to get a positive elixir deficit and overwhelm you in the final minute of the game. But for the Double Elixir Challenge, the game is so fast-paced that the Elixir Collector really isn’t needed. Sure, you can generate even MORE elixir, but your opponent has already begun their push and you’ll wished you’d have countered instead. It’s more likely that while you’re figuring out which card to play next, your elixir bar will have maxed out, completely neutering the advantage of the Elixir Collector. You’ll figure this out early on if I don’t tell you now, but splash damage seems to wreak havoc for this particular challenge. I was getting so frustrated with having my minions destroyed in two shots from the Wizard that I ditched them in favor of the Wizard and didn’t look back. Enemies with splash damage include Princess, Ice Wizard, Wizard, Fire Spirits – use any or all of them. Bowler and Log get a bump here too for their ability to lay ground troops to waste. This is kind of self-explanatory, but your troop deployment delay is going to be at least as long as the time it takes to generate one elixir. In other words, if your elixir bar is full, even if you deploy a troop immediately, you’ll have basically given up an elixir, and you don’t want to get behind in the elixir deficit game. Feel free to let your bar build up, but once it hits 9, start your push. Here’s the deck I’m having decent success with right now has a bunch of splash damage troops combined with Fireball/Zap. I don’t really have a defensive building, like Inferno Tower or Cannon, because those can really easily be overwhelmed, so their value is diminished somewhat. Fireball – Counter for clustered troop swarms, especially Three Musketeers. 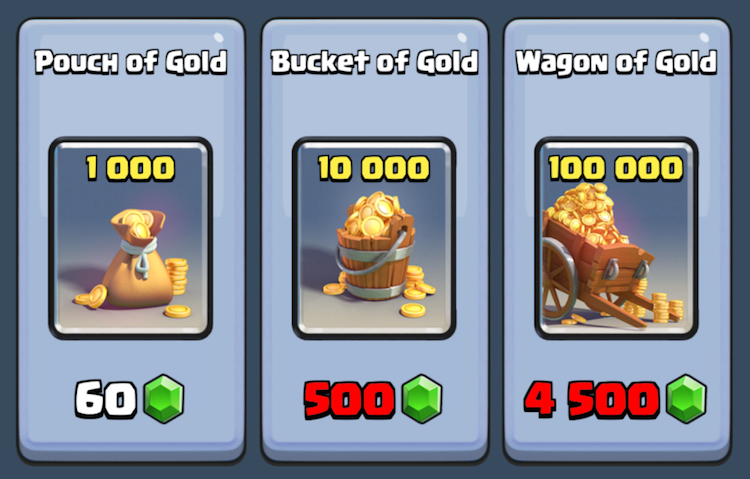 Zap – Same, also to buy me some time if I need to reset an opponent’s Sparky or Inferno Dragon/Tower. Princess – Great for sniping troops behind a tower, but opponents usually counter with Arrows or Fireball. Wizard – See above, great for countering swarms. Golem – Golem is a great card with a higher usage rate lately. I often send out a Golem even if I don’t think it’ll reach the tower if a swarm is headed my way just because it’s so tanky and my support troops above can take out the opponent’s enemies rather quickly. Then I can counterpush. Inferno Dragon – I had Graveyard in this slot but it wasn’t getting used much so I’m trying Inferno Dragon instead. Maybe this is where the Bowler should go, but feel free to insert your favorite card here. Furnace – This is my one building, for distraction in case my tower is about to be attacked. But also, the fire spirits the furnace generates are great for additional damage behind an approaching Golem. 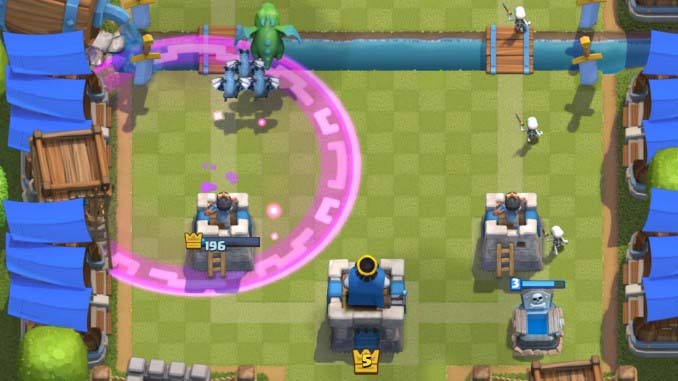 Mega Minion – Some form of aerial troop is a must here, and Minions themselves are too easily countered by the Wizard or Arrows. Trust me, I had them locked and loaded until I was getting annihilated and realized something needed to change. Mega Minion is always the go-to sub in that case. Good luck with this event and maybe I’ll see you on the battlefield!